How can you use the power of positive thinking for long lasting happiness and fulfillment. Becoming a positive thinker is not easy. But it can be done. If you’re truly serious about transforming yourself, then you need to learn how to overcome your self-doubt. You need to let go of your negative thoughts. Uncover the incredible truth about positive thinking. Learn how you can use it as a powerful weapon to finally achieve long-lasting happiness and fulfillment! 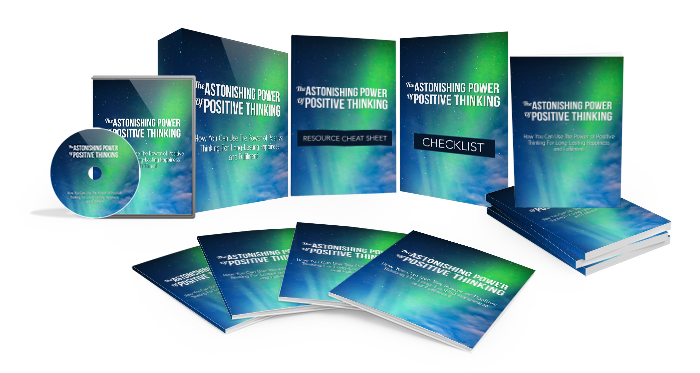 Learn the awesome power of positive thinking and how you can use it to change your life. Discover techniques to let go of your past and learn from your mistakes. Find out why you need to say “yes” more often. Learn the power of positive affirmations. How to develop new, powerful habits which will help you think more positively. You’ll realize why you need to keep your distance from negative people, and surround yourself with positive people instead. Uncover the many health benefits associated with humor and positive thinking.